With a design drawn from the retro bicycles of Amsterdam, the Sportief is a timeless classic that’s certain to steal the spotlight for years to come. Featuring the Shimano Nexus Integrated hubs, the Sportief is a bicycle that’s prepared for any urban environment. The Jordaan Series the prototypical Classic Dutch Transportation Bicycle with a few modifications to make it perfect for modern commuting and transport. Building upon the classic design we all know and love, the Jordaan features balloon tyres and carrying racks, making it perfect for modern commuting and transport. The Amsterdam Elite bicycle is the pinnacle of urban cycling - think a clean and functional build that’s designed to conquer every metropolis. Featuring a durable carbon belt drive and internal gear hub, the Amsterdam was created to make riding a breeze. The eBike Australia has been waiting for has landed. A bold, daring and lightweight urban commuter, the Lekker X is bringing a cycling revolution down under. Stripped of all excess and built on functionality. Welcome to the future. At the intersection of function and form, the Jordaan eBike integrates the latest breakthroughs in gearshift technology to deliver an unparalleled riding experience - think smooth, robust and fast-paced. 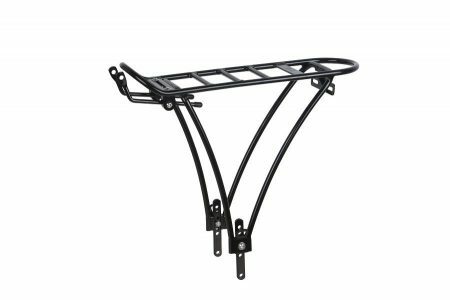 Take the E-Jordaan anywhere with its all-terrain build. Have your mini humans be the envy of the playground on the Lekker Mini range. With a refreshed colour palette and updated sizes, the new Minis are the perfect rides for every little adventurer. Born in Amsterdam, raised in Australia. 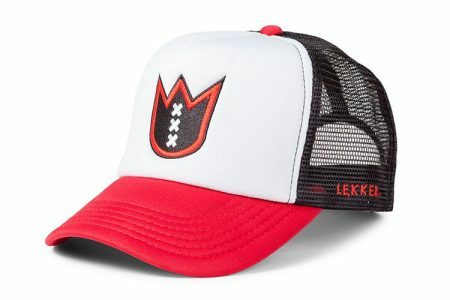 Founded in 2009, the Lekker brand is defined by fresh aesthetics, high-quality craftsmanship and a desire for comfort - all expressed in an effortless combination of Dutch cycling heritage and Australian beach culture. We care about the way you get around town every day. A ride is more than the journey or the destination - it’s about that incredible feeling of freedom. Our Amsterdam designed collection can be tested at our Melbourne and Sydney stores, but can also be conveniently shipped 98% assembled - ready to ride and with an exclusive 30 day return period. Buying your dream bike has never been easier. As a cultural hub, the city of Melbourne is home to a diverse range of art, music, and literature. There’s more to discover in Melbourne – from laneways filled with the aromatic scents of our famous coffee to the hustle and bustle of our lively people, Melbourne is definitely one of the most liveable cities in the world. The thriving tourist population proves Sydney is a landmark icon for Australia. With internationally recognised icons such as the Sydney Opera House and Harbour Bridge, Sydney lives up to its unofficial status as capital city. Nestled upon the harbour city, Sydney is never far from offering picturesque beaches and shores. With a large range of vintage bikes for sale, Lekker helps bring a European edge to the Sydney shores. Designed and created in Amsterdam, Sydney is the perfect environment to cycle in our retro bikes. Navigate the city with quality Dutch worksmanship from the team at Lekker or cycle along the coast with our vintage bicycles. Home to warm and sun-blessed summers to dry winters, Brisbane is the perfect climate for those who want to escape the sun. The weather also permits for a very green city, with hundreds of arid parklands surrounding the city from beautiful parks to botanical gardens. A stone’s throw away from the Gold Cost and Byron Bay, Brisbane is the perfect place to cycle around. Lekker offers the most in retro bikes and vintage bikes for the sunshine state. You can never get as environmentally friendly riding around the city with our contemporary and timeless European bikes. Brisbane’s wide offering of parks and gardens are the perfect excuse to ride around in Lekker’s quality bikes from Amsterdam. Known as the ‘City of Churches’, Adelaide is one of the most beautiful cities in Australia and host to Australia’s most popular sporting and arts events, Adelaide has undergone an urban makeover with new parklands, green spaces and thriving diverse eating precinct. Adelaide is also home to the most prestigious vineyards and market gardens Australia has to offer and makes for the perfect cycling cities. As a perfect touch to the city, Lekker’s vintage bicycles blend in perfectly with its urban renewal. Sporting sleek modern design and Dutch craftsmanship, ride around Adelaide’s various parklands with the help of Lekker retro bikes. Staying environmentally friendly has never been easier with our quality range of contemporary Dutch bikes for sale. Recent mining booms have made Perth a hotspot for Australian’s escaping the clustered cities of the east. With strong growths in its metropolitan areas, Perth provides the best climate to cycle around the city. Witnessing the most sunshine than any other Australian capital, Perth has the most to offer between historic buildings, cafes and shopping destinations. Don’t miss the opportunity to cycle in the streets of Perth with the help of Lekker. 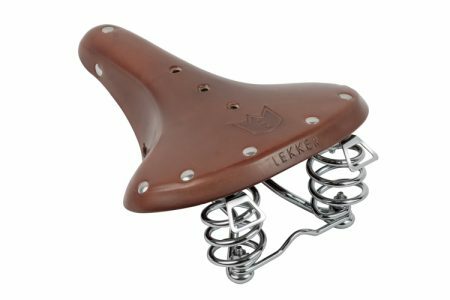 As a premium provider of retro bikes on sale, Lekker has every perfect option for everyone. Combining the free and easy Dutch style of getting around to Australia’s laidback culture, Lekker’s vintage bikes are the perfect gift for anyone who wants to soak up the rays all year long in Perth. Dominated by spectacular views of Mount Wellington, Hobart makes it an easy destination to unwind and relax without breaking a sweat. Filled with various shopping options and cuisines, the city is a character of its own league. Entrenched deep into its cultural heritage, Hobart still preserves most of its iconic landmarks in its pristine state. Australia’s capital city has more to offer than politics! Meticulously designed with numerous parklands and waterways, Canberra is also home to a lively nightlife. There are more cafes and restaurants per person than anywhere in Australia with a wide variety of local sampling of foods that you can indulge in. With an easy drive to Sydney and its unique de-centralised design, the city is never crowded. Roam around Canberra with Lekker and our latest range of vintage bikes for sale. With numerous cafes and restaurants to tuck into, getting around the city with Lekker’s vintage biycles is a no-brainer. Innumerable green spaces and parks litter around the city providing your cycling experience with the right view. Lekker Bikes design contemporary and affordable vintage bicycles. Our modern bikes have a timeless European feel that embodies the Amsterdam cycling culture with the easy and relaxed Australian lifestyle. Modern retro bikes are some of the most popular around thanks to their European influence, simplicity, style, and practical build for comfort and ease. Lekker understand the aesthetic appeal, workmanship, and approach to comfort that goes into the best quality bikes from Amsterdam. Lekker are the team bringing the Dutch style to Australia. Fixie bikes offer city riders simplicity and styling for crusing around town or zipping to and from work. Lekker fixie bike range come in single speed or 3 speed for your riding pleasure.